A Hopi Indian will tell you that a kachina is a supernatural being who is impersonated by a man wearing a mask. Small wooden dolls carved in the likenesses of the various kachinas are used to help teach Hopi children the tribal religion and traditions. Each child receives a doll made especially for him by his male relatives. 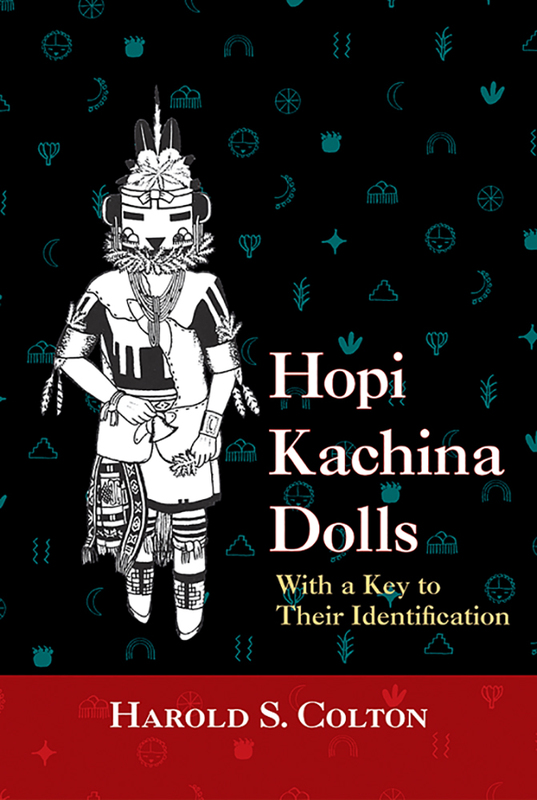 He treasures the doll and studies it so that he can learn to recognize and respect the host of spirit kachinas that people the Hopi world. Kachinas are difficult to classify because different Hopi pueblos have different ideas about their appearance and their functions. The late Dr. Harold S. Colton identified 266 different kinds of kachina dolls, and in this book he describes the meaning, the making, and the principal features of all of them. Each type of doll is pictured in a simplified line drawing. There is also an illustrated key to help the collector identify the various types.